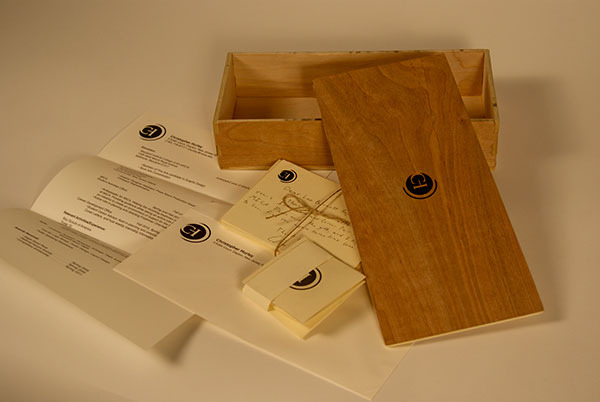 I designed and built five wooden boxes to hold my give away contents for each employer. 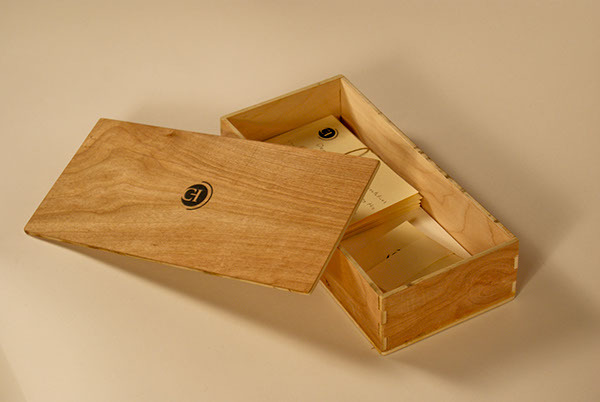 Each box was hand crafted, built with finger joints and a lid which has my logo screen printed on it. 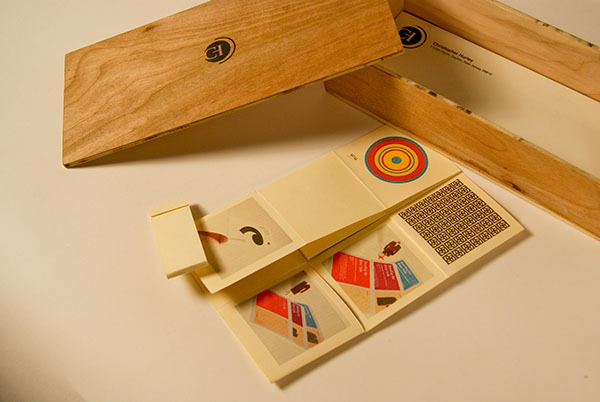 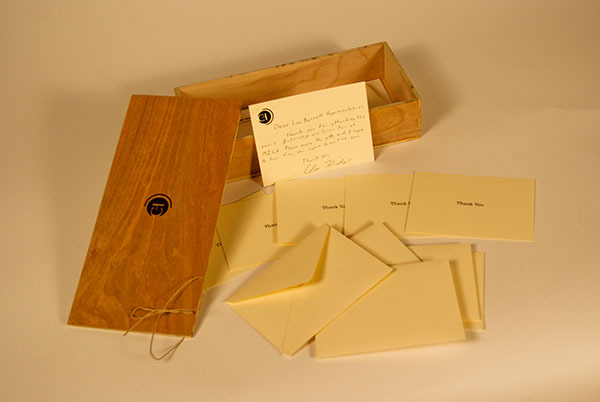 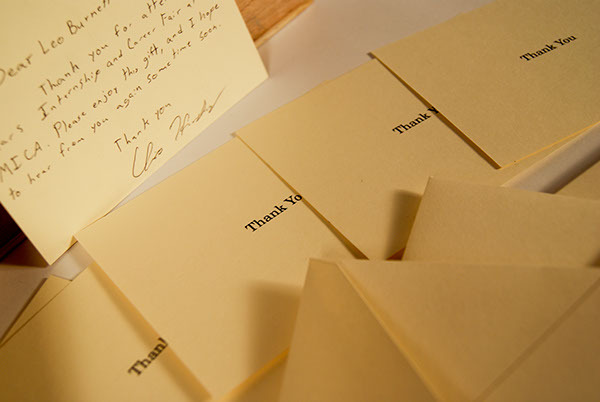 The contents of the box includes a set of thank you cards; hand cut and screen printed, a pocket portfolio book advertising the launch of my new website, and a traditional package of my resume and business card.